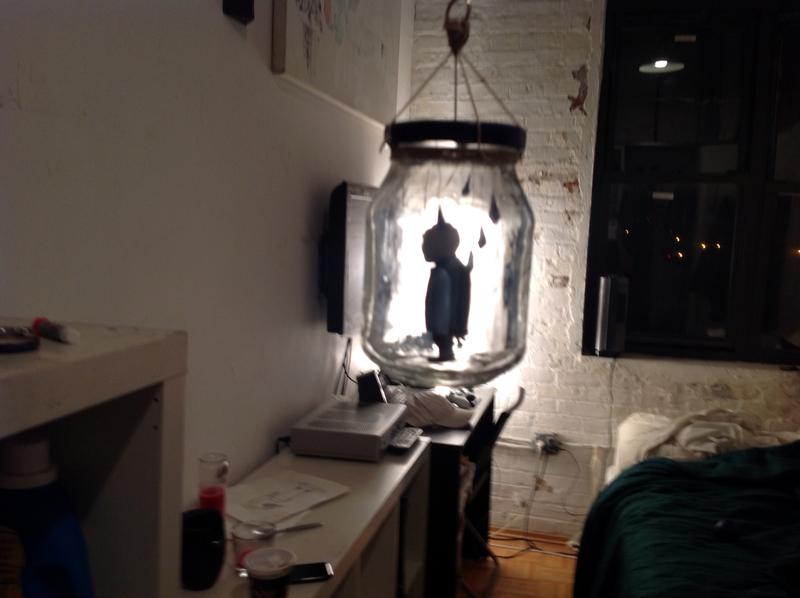 Kyle Kirwan : New piece all finished up! New piece all finished up! Obviously not how/where I'm gonna hang it but the idea is all there, decided against having a base inside the glass jar. 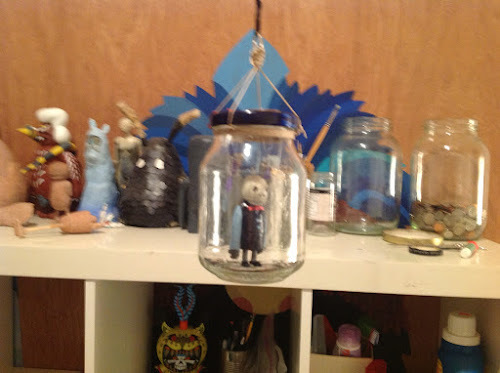 So this is the final. 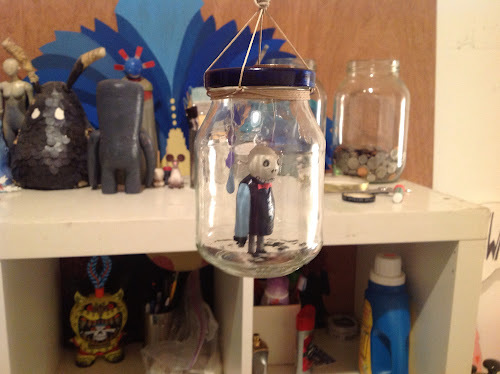 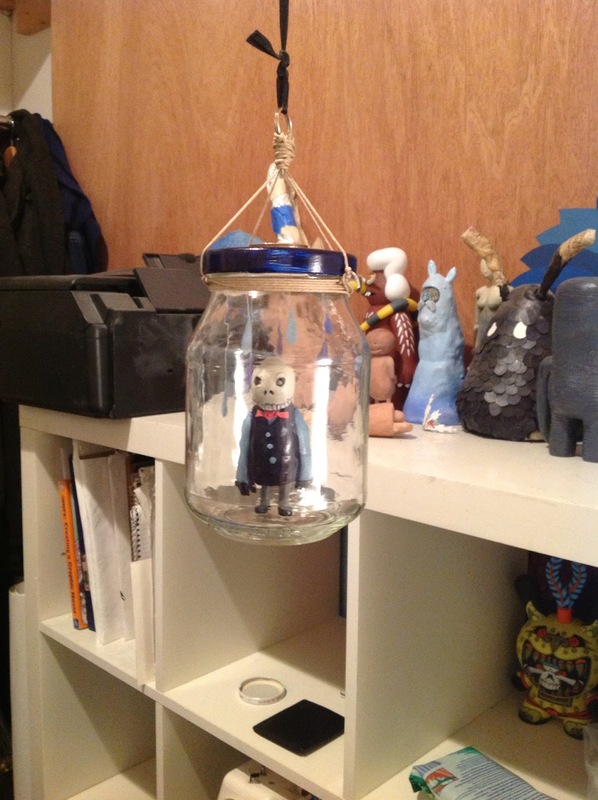 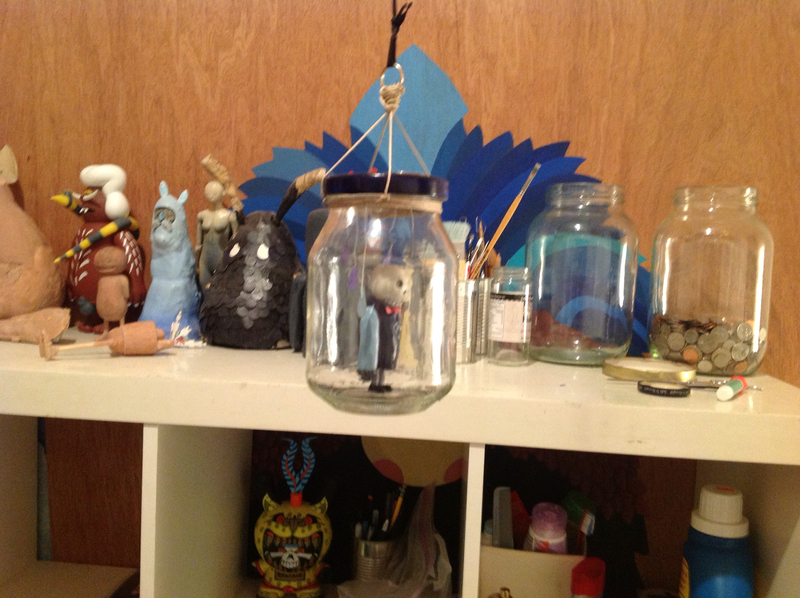 Paper, thread, clay, acrylic in a glass jar, hung with some kinda twine.